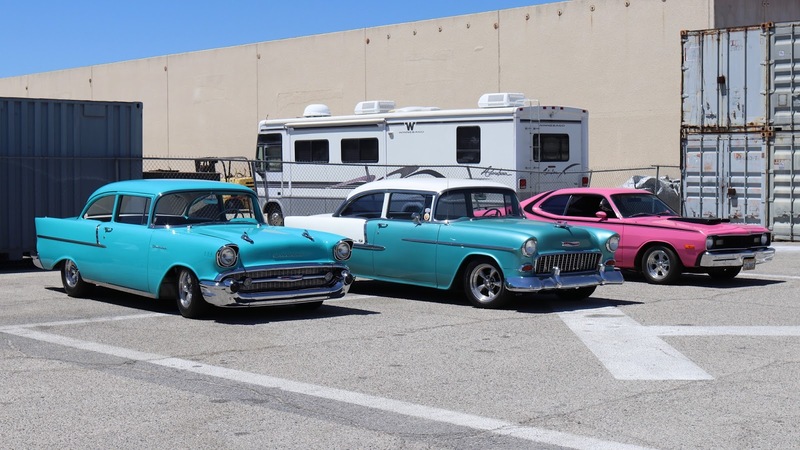 Our first ever California Car Cover Poker Run took place this passed Saturday and our group had a fantastic time seeing some incredible cars. Thank you to all of the great shops and customers that opened their doors to our group. Participants collected playing cards at each stop for a chance to win prizes from our great sponsors and suppliers. 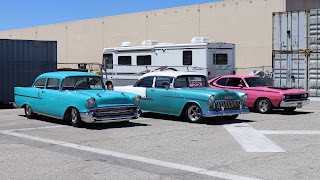 Here are some highlights of the Poker Run. 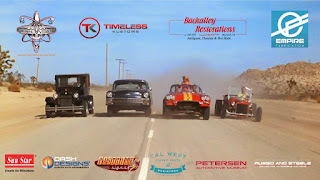 After departing California Car Cover in Chatsworth at 8am, our first stop was out in Camarillo for a visit to Timeless Kustoms. 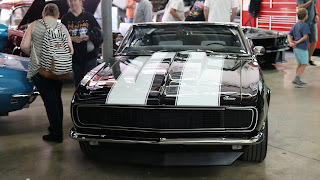 Jason Pecikonis and his team build some amazing muscle cars and their shop is just as incredible. 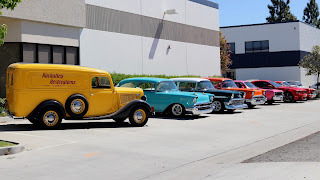 Our group was impressed by the amount of fabrication equipment that Timeless Kustoms uses, plus the number of cars sitting on racks waiting to be customized. Jason even took a few minutes to demonstrate some metal work to our group. The Timeless Kustoms Vicious Stang has been touring the west coast this year. It's been blowing up the internet since its debut at SEMA 2016. We had to make a last minute change to the Poker Run due to some unfortunate circumstances. 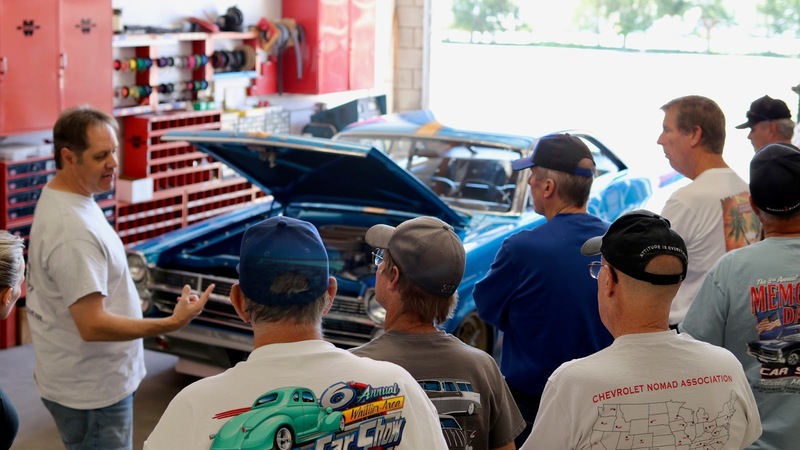 Our founder, Jim DeFrank, offered to let our group visit his private garage out in the Ventura County area. His shop is home to the Jim DeFrank and Sons Racing team, plus a few classic Chevys. The group was able to see and hear a little about California Car Cover's history and it's involvement in NHRA drag racing. 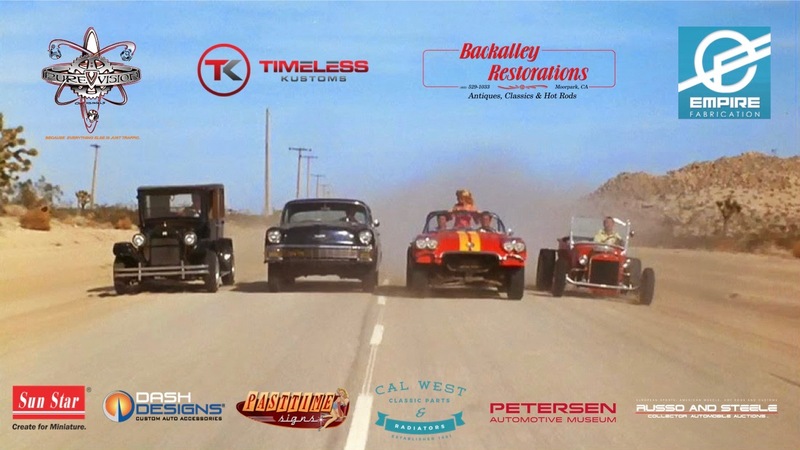 Our third stop on the Poker Run was a visit to Backalley Restorations in Moorpark, Ca. Dave and Terri of Backalley graciously opened their doors to our group. 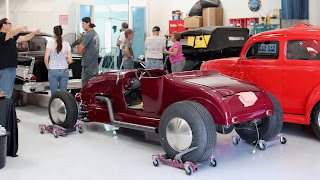 The super clean shop had a number of hot rods and classic under construction. 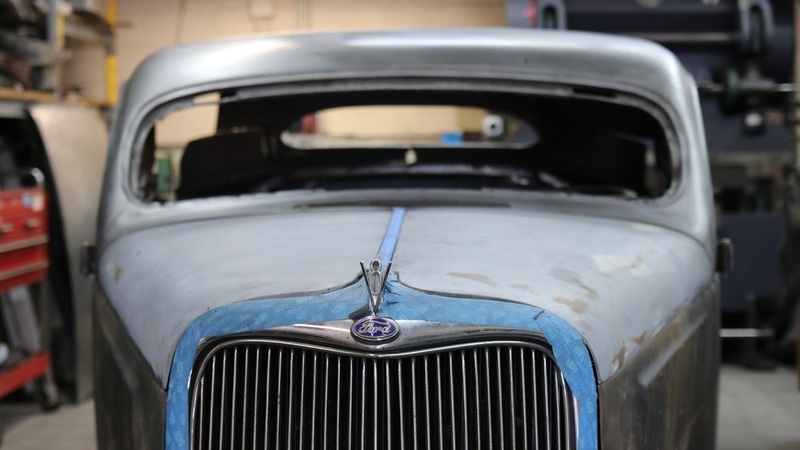 We were also giving a tour of their project "vault" where pending projects and shop cars are patiently waiting for restoration. Pure Vision Design in Simi Valley was our forth stop of the morning. Pure Vision has built a number of SEMA Award winning vehicles, plus has been featured in the California Car Cover catalog on a few occasions. 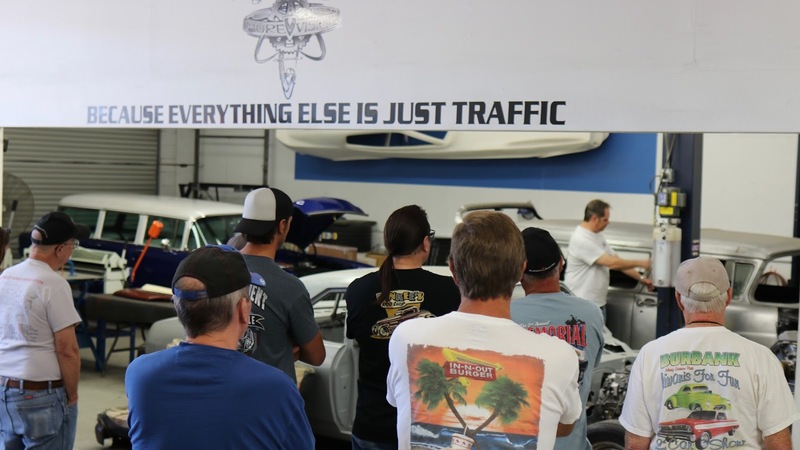 Steve Strope discussed the history of Pure Vision and talked about a number of the current and finished builds the shop has worked on lately. They have some great cars in the works for SEMA 2017 and beyond. As a bonus stop, Sean Ramage of Empire Fabrication let us visit his facility in Simi Valley as well. 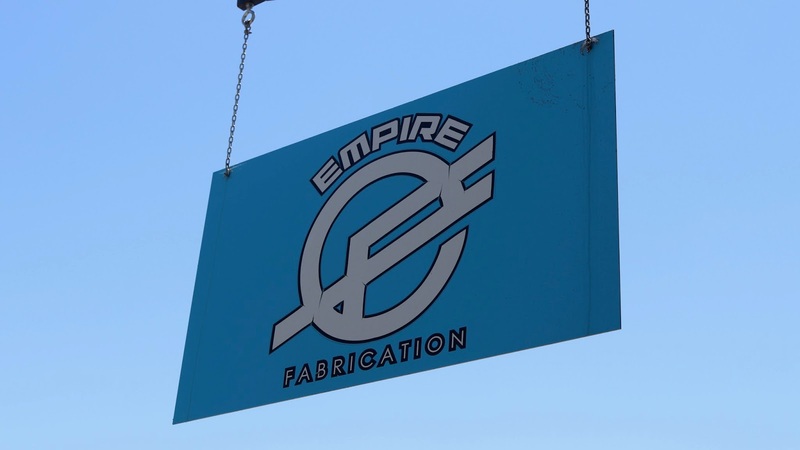 Sean has been fabricated cars and trucks for years and we were glad for his offer. He discussed his current projects and the right way to chop a top. Lastly, we returned to California Car Cover for a luncheon and prize drawing. Thank you to everyone that participated. We had a great time driving through Ventura County. We thought this would be an annual event, but everyone on the Poker Run asked about doing it again in 2017. If we can make another Poker Run happen in 2017, we will let you know.